29 Dec AMAL restaurant and Women Training Center. AMAL CENTER also Moroccan restaurant. Welcome to the Amal Center, a non-profit association dedicated to the empowerment of disadvantaged women through restaurant training and job placement. Support this endeavor by eating a meal at our restaurant, open 7 days a week for lunch, where our trainees and chefs serve up delicious Moroccan and international cuisine! “We had a most excellent meal at Amal on our last day in Marrakech. Wonderful food, delicious chicken tagine and the best tarte tatin we’ve ever had! Lovely, warm and helpful staff. 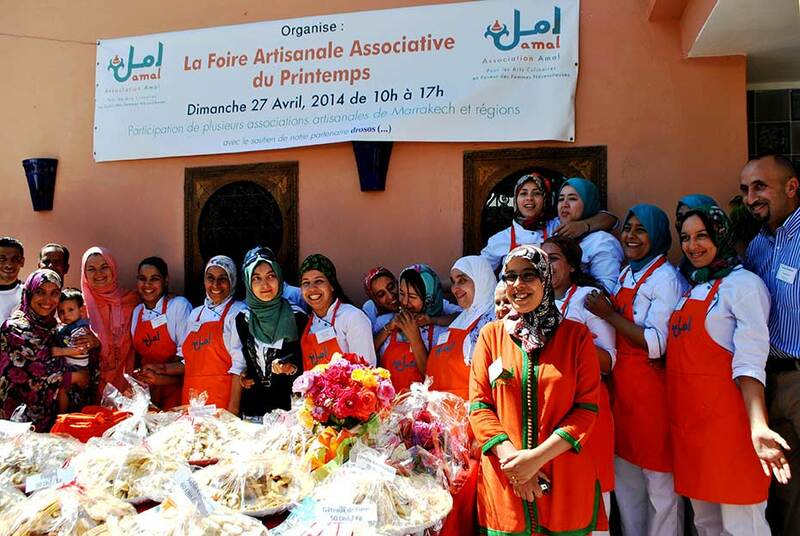 We will recommend Amal to all our friends who are planning to visit Marrakech”.